A few months ago, Frederic Malle popped into London to be interviewed by The Guardian’s Sally Hughes about his work in the perfume industry. Sadly, at no point in the conversation were any questions asked about the consequences of his decision to sell his company to Estée Lauder, but this may have had less to do with any attempts to brush the matter under the scented carpet than it did with the fact that most people probably couldn’t care less about brand ownership and acquisition. That quibble aside, the man was as interesting as ever to listen to, not least because he was in characteristically unrestrained mode when discussing the work of others, as you’ll see below. Are your childhood and history relevant to what you do now? Frederic Malle: My mother worked in the business. She was an art director for Dior. Her father had created the company and had worked with Coty, who had actually invented this industry. [Growing up] I heard a lot about Dior, I heard a lot about my mother’s job. But I was always taught, since I was very, very young, that things smelt of something. So my attention as a toddler was drawn towards smell, which I don’t think happens with most people. When I discovered girls, when I was fifteen, I also realised that I was more attracted to the good smelling ones. And I remember there was a fragrance called Halston Z14 which I absolutely fell in love with, and wherever I wore it - it was not sold in France, so I only had so much - it was like a magic potion. So I understood the power of perfume. And that’s what led me to being here today. Wherever you may be in the world, if you're about to celebrate Easter, I wish you peace, laughter and guiltlessly decadent feasting. And even if you don't celebrate Easter, feel free to help yourselves to those wishes too. A few days ago, I brought my 'mini-season' of Episode 30 of Love At First Scent to a close on YouTube, so I'll paste links to the various scenes below. I hope you enjoy watching them. While it would be impossible for me to keep posting new videos every day, I have found the experience instructive, not least because it reminded me how inspiring, passionate and knowledgeable all of YOU - my readers, viewers etc - are. Thanks very much indeed for your constant support and encouragement. I really appreciate it. It's all about videos at the moment! To mark the fact that we've reached the 30th episode of Love At First Scent, I'm currently broadcasting a mini-season of brief, daily videos over on YouTube Live (technology permitting) which will continue until at least Sunday. In Scene 1 (click here or see below) I looked at the new Dust and Suede from Lyn Harris' Perfumer H and in Scene 2 (click here or see above) I took my first sniff of the new Experimentum Crucis by Quentin Bisch for Etat Libre D'Orange. Today's instalment - scheduled to stream at midday UK time - will focus on Armani Privé. One of the main drawbacks of my Love At First Scent videos is hinted at in their name: they’re all about first impression. I often try to point out during the broadcasts that all perfumes must be allowed to take us on the entirety of their journey at least once before we make firm judgements about them. But of course, the very nature of modern perfumery means that a scent’s initial personality tends to remain largely unchanged during the course of its development: what you get at the start is usually a strong indicator of what you’re left with at the end. However, there are several contemporary fragrances that alter with the passage of time, revealing unexpected facets as they go along, in the manner of compositions from yesteryear. And two recent examples happened to be featured in the same Love At First Scent video: Chanel’s new Exclusif, 1957, and Christine Nagel’s first foray into Hermès’ ‘garden’ series, Un Jardin Sur La Lagune. I'm pleased to inform you that the March 2019 issue of Business Traveller UK features an article by me on modern oud perfumes. It's available to purchase in both print and tablet formats; for more info, please click here. I'm very fortunate to be included in Suzy Nightingale's latest piece for The Perfume Society on the subject of which fragrances people would buy if money were no object or if they were on a tight budget. To find out what my choices were, please click here. A brief heads-up: the next episode of Love At First Scent will probably be broadcast at 6 pm UK time (2 pm New York time; 10 pm Dubai) on Friday 15th March and it will focus on Dior's exclusive range. I say "probably" because Maison Persolaise is currently suffering the consequences of some unexpectedly major repair work, so there's a slight chance I may have to postpone the broadcast. Please stay tuned to my social media channels for updates. I shall try to stream the episode on my YouTube channel this time (to mark the fact that I've just crept over the 1000 subscriber mark!) but if that doesn't work, I'll revert to Facebook. Again: see social media for updates. Finally... I can't quite believe I'm typing this... but today marks the 9th anniversary of the start of Persolaise.com. A huge vote of thanks to every single one of you for all your comments, your kindness and your words of encouragement over the years. I am deeply grateful to you all. Let's see if we can make it a decade! A selection of mini-reviews published on social media between October and December 2018. For more, please click here. Surprisingly Catholic incense opening - given the Japanese name - with the familiar strains of cedar and flintiness. We’ve had this several times before, perhaps with a less vanillic drydown. Back in the 90s, when everyone was either wearing or being surrounded by CK One, my favourite body product to accompany the scent was a massage oil. For one thing, the perfume worked beautifully in that particular guise. For another, it allowed you the rare pleasure of applying a fragrance not on yourself, but on someone else, with all the slowness and sensuality this entailed. Over the years, I’ve wished more brands would follow Calvin Klein’s example, but I’ve had to accept that maybe mutual perfuming just didn’t tickle our collective buying fancy. And now, look at what Chanel have gone and done. To tie in with their spa at Paris’ Ritz, they’ve released not one but four massage oils, each one housed in an oversized, 250 ml bottle, all the better to iron out the knots in those aching limbs, my dear. There’s a vanilla, a jasmine, a rose and what they’ve called an Orient. I’ve tried the last two and I can reassuringly claim that they’re as velvety, indulgent and supple as you’d hope, soaking into the skin at a speed that allows for a lengthy, all-encompassing relaxession. Their actual smells tend towards the subtle, but that’s to be expected: these aren’t replacements for the brand’s fine fragrances and I dare say they haven’t been designed to compete with them. 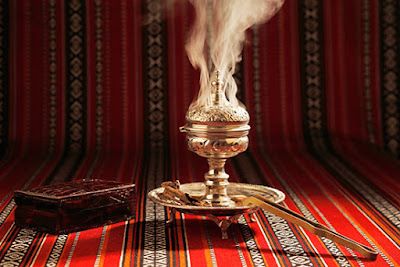 The rose is a serenely smiling haze of pinkness, whereas the Orient is a soapy, romantic, incense-inflected vision of a decadent harem, as seen through 19th century, western eyes. They’re both a treat. 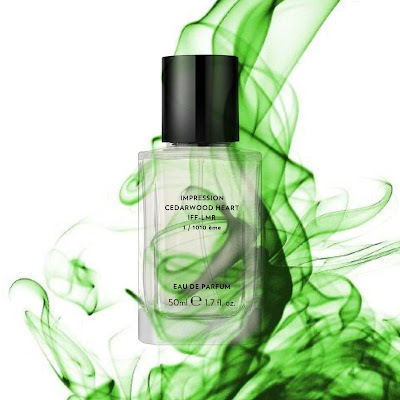 Superb interplay between cedar and cardamom (with rose, incense and pepper) creates an effervescent, electric, very modern piece of work, a la translucent Mark Buxton compositions. Perhaps drydown is too musk-reliant, but the whole works. Since being taken over by Puig, L’Artisan Parfumeur have fared rather well, I’d say. Penhaligon’s - which joined the Puig stable at the same time - still seem uncertain of their identity (although I’m reliably informed their Portraits have been a hit at the tills) but the respectful revamp of L’Artisan’s packaging was generally met with approval. And more importantly, many of their new scents have been given the thumbs up by critics, not least because they respect the brand’s quirky heritage and its idiosyncratic personality. Mont De Narcisse is a case in point. 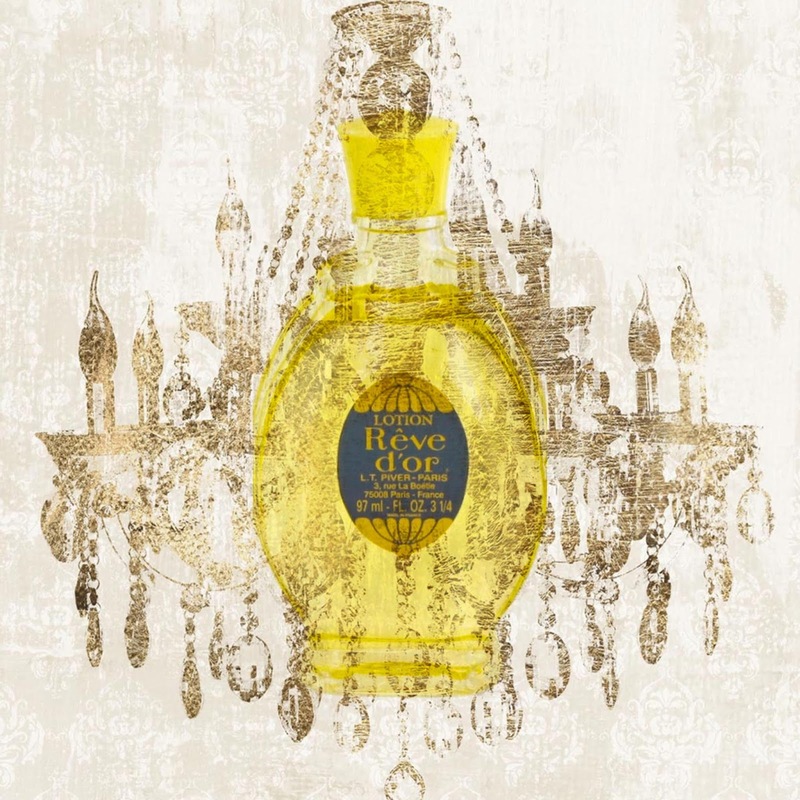 For one thing, it makes a pointed reference to the company’s past: it’s composed by Anne Flipo, who turned her hand to narcissus in the much-missed, limited edition Fleur De Narcisse from 2006. For another, it’s precisely the sort of Gallic, scene-conjuring fragrance L’Artisan have long made their own, from the bittersweet fantasies of Traversée Du Bosphore to the magical, Narnia-like vistas of Bois Farine. Incidentally, the Perfume Society are holding a launch event for the book in London on the 28th of March - with Neil in attendance - so if you'd like to book tickets, please click here. Brings out the spiciest facets of cashmeran, using leather and - most prominently - sandalwood to present a dark, unexpectedly aggressive rendition of velvet. Is the fabric protective or oppressive? A confident, obvious patchouli, heavy on coumarinic lavender rather than the crass synthetic woods so ubiquitous in today’s masculines. Nice touch of fuzziness. A fougère for bearded times? A curious take on patchouli, with herbs (rosemary?) and chilled spices helping the main ingredient shed some of its excess weight. Displays that fog-dispersing quality that can make a scent either bracing or strident. With a name like Poivre Electrique, I was hoping this would be an industrial - maybe even futuristic - take on one of perfumery’s most intriguing materials. But instead it’s a woody leather, heavy on musks and cedar. Well made, to be sure, but not as exciting or sparky as its moniker would suggest. The standout in this genre remains Blackpepper from Comme Des Garçons. In a departure from the usual diet, I’m thrilled to let you know that the latest issue of Sight & Sound magazine contains an article by yours truly on Three Colours: White, a movie that feels extremely topical as the UK hurtles towards the end of March. To buy the digital edition, please click here; the print version will be in shops from 7th February. While I’m on the subject of cinema, I ought to let you know that I’ve decided to revive my DariushAlavi.com blog - at least for the immediate future - with one-paragraph reviews of all the films I’m going to watch this year; click here to read them. And to see the ‘Cinema Scent’ reviews published here on Persolaise - to tie in with my appearances on BBC Radio 4’s Film Programme - please click here. I know very little about the history of Piver's Rêve D'Or and I'm reluctant to lift the limited amount of information available on the Net - for fear of lenghtening a 'copy-pasted' string of what may be inaccuracies - but one 'fact' that appears fairly consistent is that it was originally made round about the same time as Guerlain's Jicky. What it's been up to since then is a matter I'm happy to leave to the historians for the moment. But what I know about its current state is that it is tricky to find (I'd recommend Brixton Market if you're near London), extremely cheap and very popular in certain North African countries. Oh, and it's really rather beautiful. Wearing Ostens’ Impression Cedarwood Heart has made me wonder - not for the first time - why so many of us are averse to green perfumes. They’ve been around long enough to have infiltrated the collective consciousness, yet they consistently fail to perform at the tills, even if they come bearing the Chanel logo: several sales assistants have told me that they can go through a whole year selling no more than a couple of bottles of No. 19 (to which my immediate response is, “If that’s true, thank you very, very much Chanel for continuing to make the stuff!”). As the rest of us hurtle towards an increasingly frightening 21st century, trust Tom Ford to remain seated aboard his glitter ball and fly even further into the past. Not that I’m complaining, mind you. I don’t think I’m quite ready for 2019, so the arrival of Mr Ford’s new Beau De Jour - as retro-loving a composition as he’s ever given us - is very welcome indeed. At heart a lavender-geranium-rosemary fougère (interestingly, Chanel’s Boy also went for a luminous lavender to convey an image of a dashing paragon of masculinity), it plays its ‘vintage barbershop’ card with such a guile-free sense of fun, it’s hard not to fall for its insistence that cinemas have only just started showing Jaws, Hawkeye is dishing out wisecracks on M.A.S.H. and everyone’s walking around in corduroy dungarees. 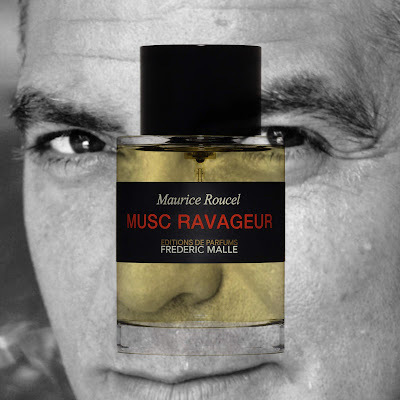 That said, Mr Ford’s other great love is the Middle East, and sure enough, this particular Beau complicates his backward glance with cardamom and saffron - a neat counterpoint to the camphoraceous herbs - as well as a heavily patchouli-amber-laden base that instantly recalls Rive Gauche Pour Homme (which, it should be pointed out, has a superior, more suave drydown). That fragrance was, of course, from Ford’s time at YSL and was itself, even in 2003, an expression of olfactory nostalgia. So what that means is: plus ça change... for which this particular writer is most grateful.